I'm more interested in the first three, so I didn't note the prices for the nappies and soft drinks anymore. So I drove to Campsie Shopping Centre a quarter before opening time. The parking area's still locked down. Quickly made a left to park at Woolies. By the time I got to Big W, the moms with their trolleys have already barricaded the store entrance. Some have even filled up their trolleys with cases and cases of softdrinks which were displayed outside the store. All they need to do is go straight to the checkout counter. The clock struck 8:30am, and there was a mad dash into the store. Me, I went straight to the electronics section; specifically to the locked shelf where the portable hard disks were kept. After a moment, a staff came by, opened the glass shelf, and took out a couple of HDDs. The guy in front of me asked for a couple of blue ones, and got them. The lady behind me asked for one and got hers. I asked for mine, but the guy ignored me. He said he got to bring the HDDs to the counter and will be back. So we waited. Another staff came by, picked up a few more HDDs, and left. The guys in the queue (including me) were getting frustrated with the lack of service. The guy said we have to place our orders at the counter. The queue broke up and we went to the counter. More people already there. Forming two queues. Bad. I joined one and hoped. 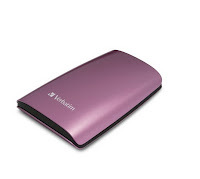 People were clamoring for the hard disks, and they were being handed out randomly. Good thing I managed to snag one. A man and a woman ended up in a shouting match because she was served even though the man was earlier in the queue. I can tell you chivalry is not dead. At the food section, the $1 choco bars are being scooped up by people as soon as the staff can put them on. Only lady even asked the staff to give her the whole damn box. At the shoes section, the moms are filling up their baskets with $1 thongs. I can't even get to the stuff with some many people around. Ah, people go crazy during sales. The checkout is even worse. Long, long queues at the checkout counters. And the self-service kiosks are not much better. People seem to take a long time to scan their items. Some people who don't know how to operate the machine still insist on using them. 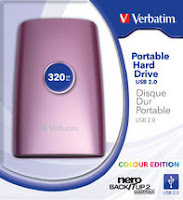 Me, I'm just happy that I got my 320GB portable HDD, even if it's pink. First thing I bought from eBay after getting a fat secondhand Playstation2 console is a memory card. Without said memory card, you can't save your games. Guess SIL forgot to tell me this important fact, which I only found out after half an hour into a Kingdom Hearts game and I need to save state. PS2 memory cards are cheap enough on eBay. 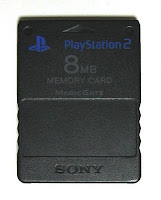 Why buy an original Sony 8MB card for $25, when you can buy a no-name 64MB one for $7 (delivered)? Games for the PS2 are pretty cheap too, considering the aging console is on the way out. EBGames are selling used games for a flat rate of $13, and cheaper still on eBay. 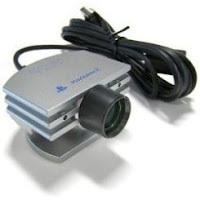 My next purchase is a second-edition silver EyeToy camera. (Said to be smaller and smaller than the original black one.) Getting a bit of a Wii-envy, so I bought it for some interactive gaming. Also bought Kinetic Combat with the fisheye lens, which is supposedly quite rare already. Plus Play3 and Eyetoy Groove.